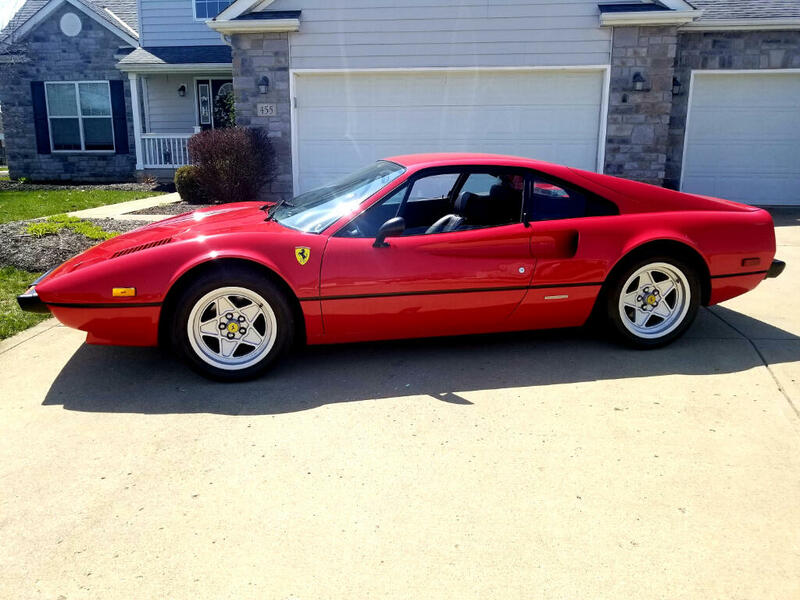 Used 1977 Ferrari 308 GTB Sold in Johnstown OH 43031 Denny Dotson Automotive Inc.
1977 Ferrari 308 GTB in Rosso Corsa over Black leather. Same owner for the last 20 years. Recent engine out service with all service records going back 20 plus years. This is a gorgeous 308 that runs every bit as good as it looks. Recent Tubi exhaust upgrade gives it the sound it deserves. Has the original wheels and tires that go with the sale along with the pictured upgrades. The odometer was replaced at 12K miles. It's being sold as exempt. The interior is beautiful(not dyed or sprayed). The paint is super nice as well. Has been in storage the last 16 years. Ready for a new owner to enjoy and cherish. Message: Thought you might be interested in this 1977 Ferrari 308 GTB.